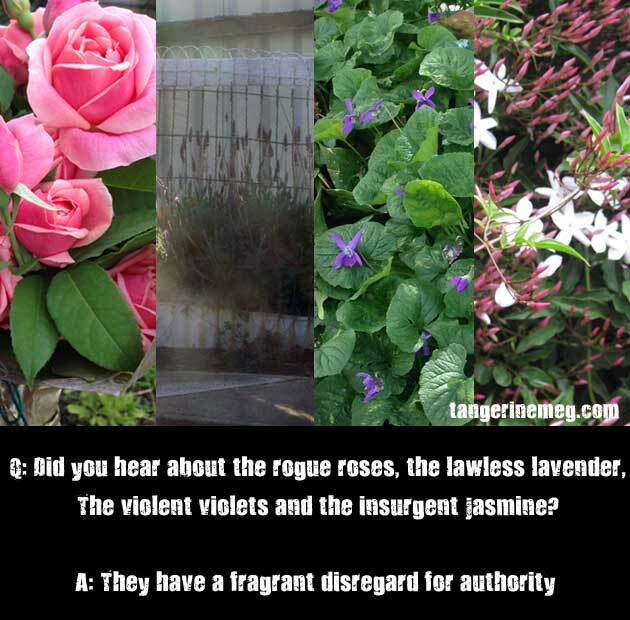 Q: Did you hear about the rogue roses, the lawless lavender, the violent violets and the insurgent jasmine? A: They have a fragrant disregard for authority. See you next time. I hope. PS Beware the agressive agapanthus!